Her favorite character is Pickles so she had to "present" the cake. I made a mixture of vanilla and strawberry cupcakes decorated in white butter cream and flower sprinkles. 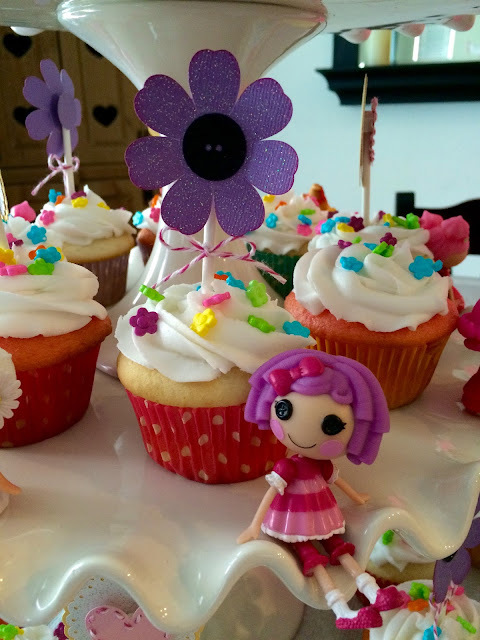 The cupcake toppers were cut from purple glitter cardstock and a black glitter cardstock button was glued in the center. Pink bakers twine was tied around the stick for a little extra detail. 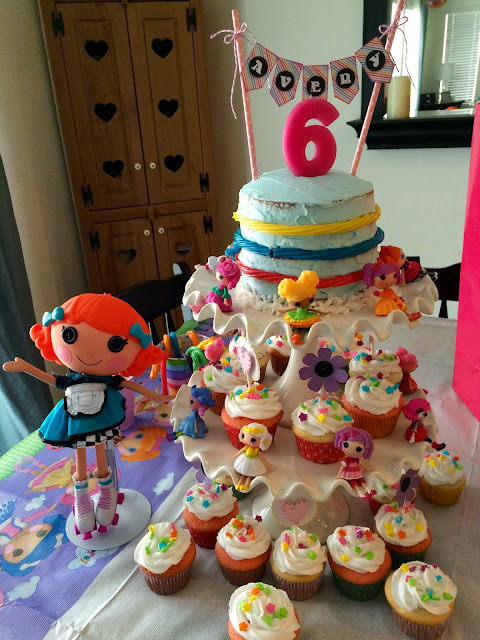 I placed her Lalaloopsy minis around the cake plate to add to the Loopsy feel. For the cake topper, I cut out and stamped her name on the banner and attached to bakers twine. I strung the banner between pink paper straws and stuck it in the cake. 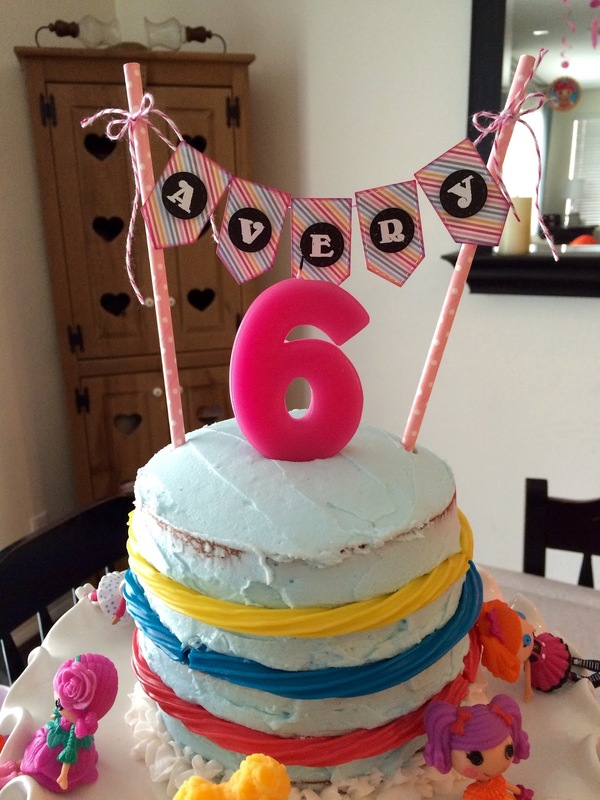 Of course a number 6 completed the cake. It turned out wonderful and she loved every minute of her special party. If you have any questions about instructions please leave me a comment and I will get back to you. Thank you so much for stopping by today. Come back again soon for more inspiration.